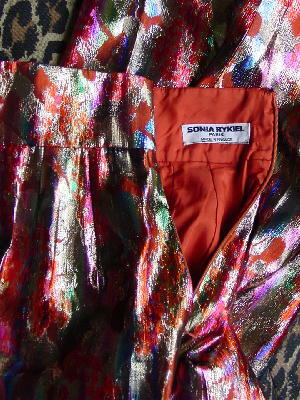 These iridescent metallic thread pants were made in Paris by Sonia Rykiel. They are orange, blue-violet, azure, gold, grass green, light magenta, clay, and yellow. 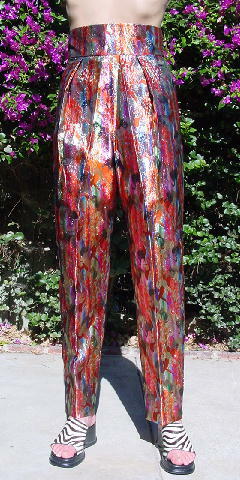 There is a full very nice bright clay color lining and a back 10" long zipper with an eyehook at the top. It has a 3 3/8" wide waistband and belt loop (check out our belt section for a good match). 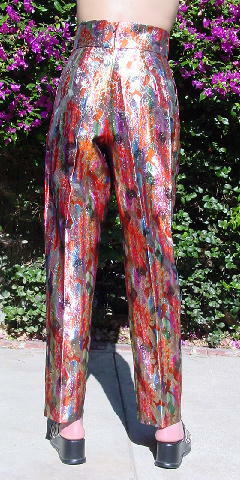 The front has 2 pleats and 2 side seam slash pockets. 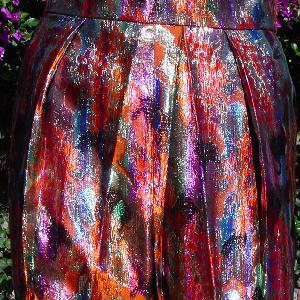 top of waistband to hem 44"